OAKLAND, Calif. (KGO) -- As the defending NBA champion Golden State Warriors get ready for their season opener, a fundraiser is underway for the official charity of the Dubs. 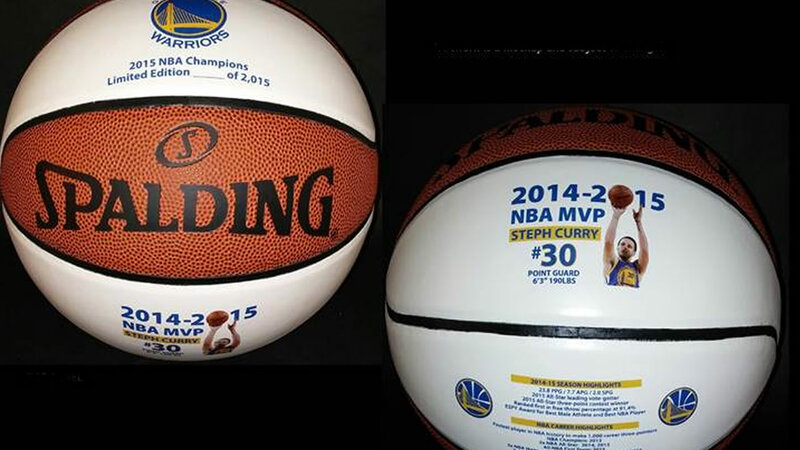 Only 2,015 of the Steph Curry MVP full-sized basketballs will be produced by Spalding. The ball includes a color photo of Curry on one of the panels, with career highlights and stats on another section. The basketballs are priced at $99 and come with a numbered certificate of authenticity . An autograph from Curry is an additional $469. The charity benefiting from the sales is Hoops for Kids, which helps out underserved youth in the Bay Area. Fans can order by either calling 1-800-345-2868 or visiting www.nikcosports.com.